A recently published study investigating hepatitis B vaccination rates in the United States found that more than half of adults at risk for hepatitis B virus remain unvaccinated. With many of these individuals making contact with the healthcare system, including HIV testing, this statistic reflects many missed opportunities to vaccinate this population. PROVIDENCE, R.I. [Brown University] — Although there is an effective vaccine for hepatitis B and public health officials have a strong sense of who is at highest risk for the infectious liver disease, tens of thousands of people in the United States contract the virus every year. According to a new study by researchers at Brown University, missed opportunities to administer the vaccine continue to be a reason why infections persist. “This is a really simple thing that we could do and if somebody ends up getting the disease because we didn’t make the effort then I think that’s really a shame,” said Brian Montague, assistant professor of medicine in the Warren Alpert Medical School of Brown University and a physician at The Miriam Hospital. Yet in an analysis published Jan. 12, 2012, in advance online in the journal Infection, senior author Montague and lead author Farah Ladak found that in a nationally representative sample of high-risk adults, 51.4 percent said they were unvaccinated. More than half of them had the potential to receive the vaccine based on their reported contact with health care providers. The study is based on responses by more than 15,000 adults to the 2007 Behavioral Risk Factor Surveillance Survey, which gathers health information from more than 430,000 people across the United States. The respondents in the study’s analysis acknowledged engaging in risk behaviors such as certain sexual practices or needle drug use and could definitively report their hepatitis B status. Previous research has found that more than 95 percent new infections in adults occur among people with such behavioral risk factors. Montague, Ladak, and their co-authors sought to figure out who among this highly vulnerable population was going unvaccinated and whether and where they could have received the three required shots. They found that vaccinations were relatively infrequent among adults older than 33 (vaccinations have increased markedly in children since the 1990s), among people with less access to health insurance, and among people who have also not been vaccinated against other diseases such as the flu. But even among people with access to health care, including people who reported specific contact with health care providers, thousands of people went unvaccinated, Ladak said. The study identifies places where improved vaccine delivery would make a substantial difference — for instance when people are tested for HIV, such as at the doctor’s office, in a hospital or clinic, and especially in jail. 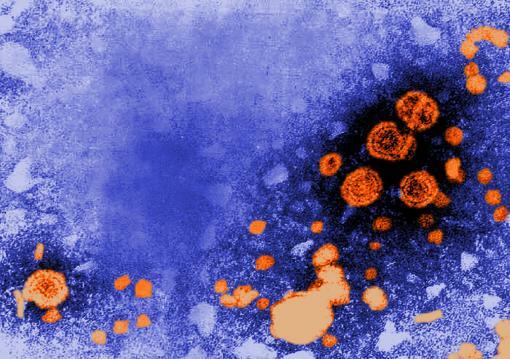 For those infected as adults, hepatitis B does not always result in persistent infection and chronic liver disease, but it is especially likely to do so among people infected with HIV. Such co-infections are common because many of the risk factors for contracting either virus are the same. Ladak noted that the new study’s figures from 2007 closely mirror similar research published in 2000, suggesting that despite widespread awareness among public health officials that vaccinations have been lacking among adults, there has not been clear progress. The study lends additional support to the urging of the Institute of Medicine, which in a 2010 report emphasized the importance of seizing opportunities to vaccinate people for hepatitis B and C. The report suggested that officials have not devoted enough resources to vaccination programs, perhaps because the infections sometimes don’t present any symptoms, as a reason for the continued prevalence of the diseases. Montague said some programs are also structured to ensure missed opportunities. For example, funding for HIV care programs allows testing and vaccination of those who are HIV positive. Funding is often not available, though, for combined screening for hepatitis B together with HIV. “Given that the risks for HIV, hepatitis B and hepatitis C overlap, what we need is integrated testing and prevention programs and strategies that link those cases identified with effective treatment in the community,” Montague said. In addition to Montague and Ladak, other authors were Annie Gjelsvik, Edward Feller and Samantha Rosenthal.